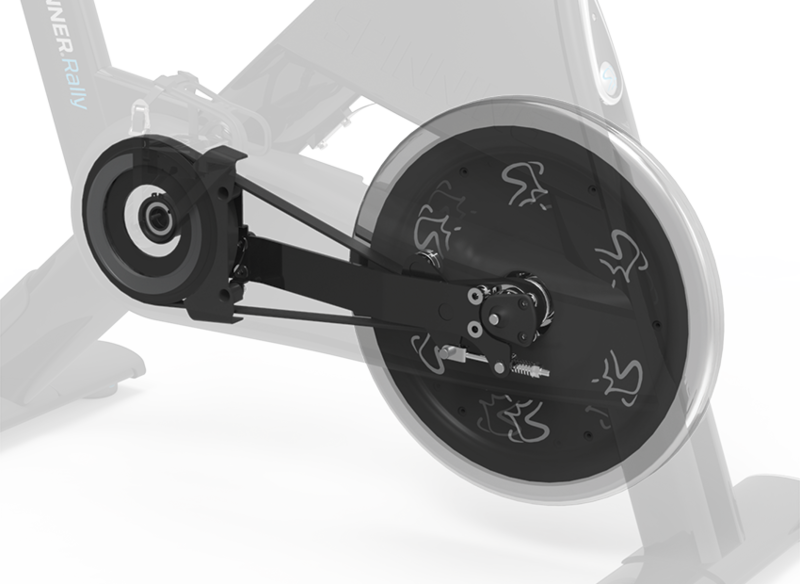 The Spinner® bike family continues to grow with the new Fusion Drive™ belt system. Experience a smooth, silent and virtually maintenance-free ride with our advanced belt-drive technology. Fusion Drive™ integrates our exclusive perimeter-weighted flywheel, Poly-V Isoprene belt and force-sensing tensioner that meets our high standards of an authentic Spinning® ride. Built by the finest engineers in the industry, Fusion Drive™ not only offers the world's best belt-drive riding experience, but also the most reliable; virtually no maintenance or adjustments are required for the belt. 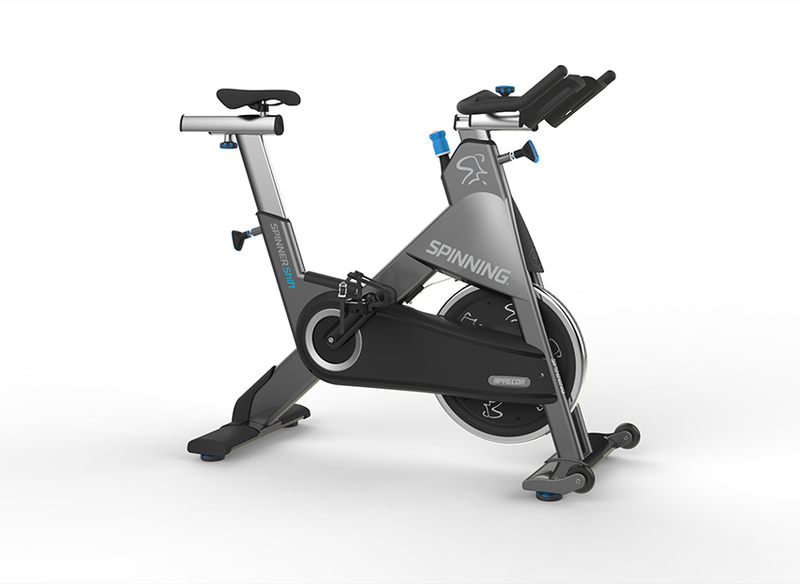 For over 20 years, Spinning® has set the standard for creating industrial-strength bikes that can withstand the most demanding of studio and club environments. 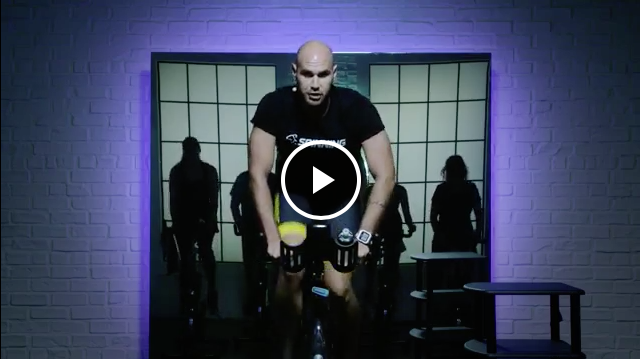 The Fusion Drive™ system is now available as an option on these commercial bike models. Our family of Spinner® bikes were born from the road and engineered to match the geometry of a real road bike. 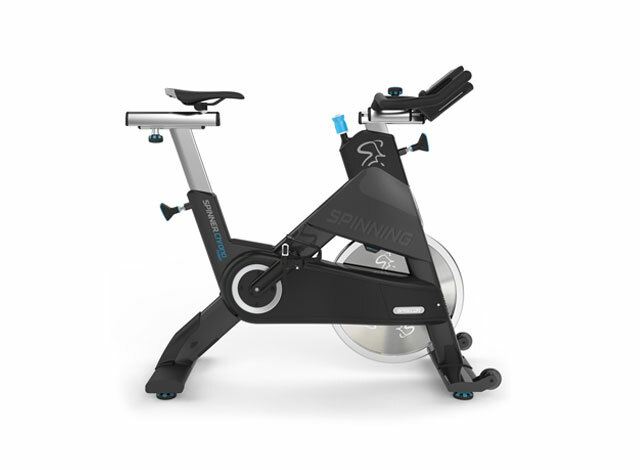 The fixed-gear and weighted flywheel create the inertia and resistance to replicate the feel of the road, enabling the rider to have a smooth, fluid pedal stroke through the course of the ride. No other bike comes close to matching the real road cycling geometry of the Spinner line of bikes. Witness tradition redefined with our high-quality Spinner® Ride. 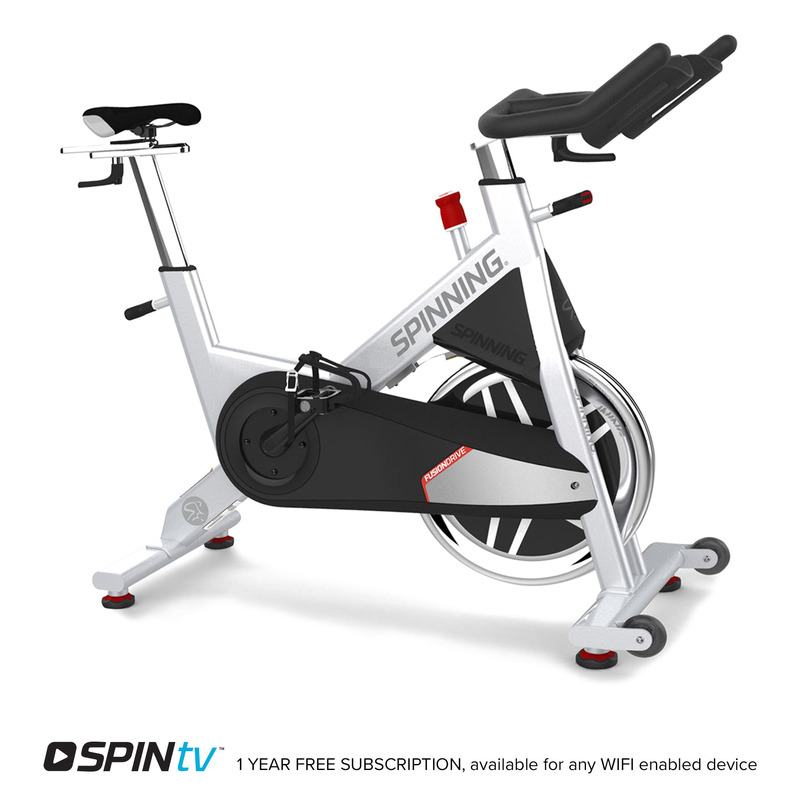 This commercial stationary bike comes with the same proven ergonomics and functions as our other commercial Spinner® bikes. 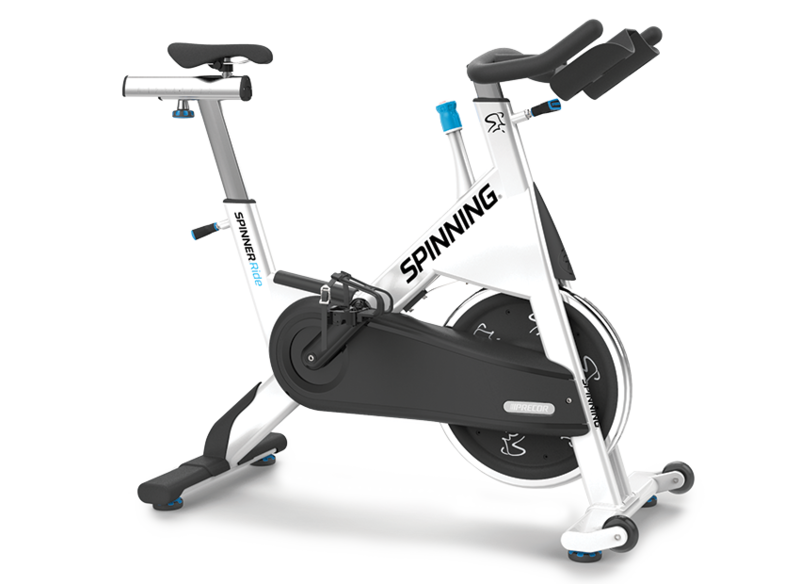 The Spinner® Ride is a great option for facilities just entering the market, offering 10 or fewer classes a week. Drive Options: Chain-drive and belt-drive. Pedal Options: Trio® and Trio QR® pedal options available for multiple shoe/cleat options. The classic Spinner® model, the Spinner Shift is built to be a workhorse for your facility. With the same heavier steel frame and adjustment options as the Spinner Rally, this commercial exercise bike is a great choice for facilities with 10 or more classes per week seeking to offer superior indoor cycling classes and rides.